Easter half term is in full swing and we really are making the most of the lovely sunshine we have been having. Simple and easy tuff tray painting has been today’s acitivity. 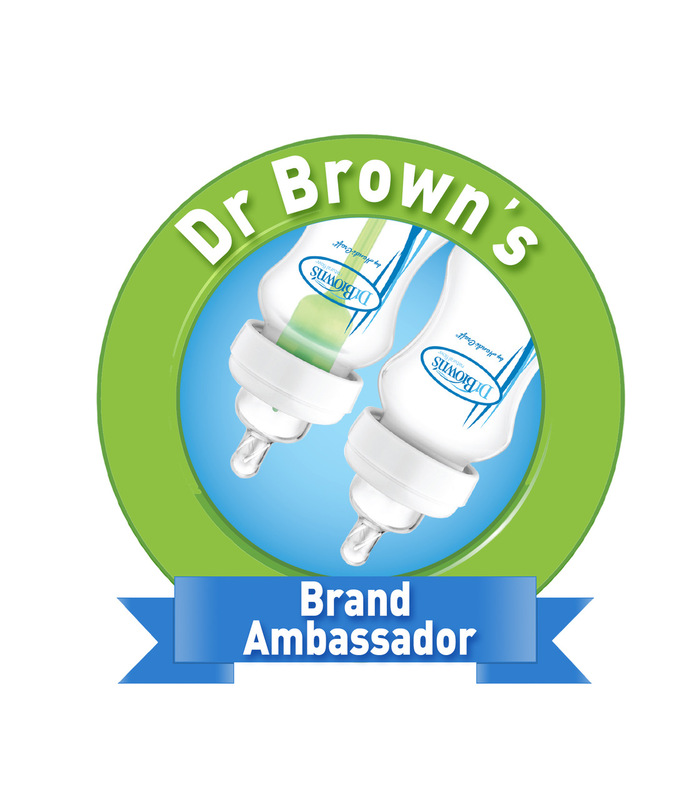 It’s so easy to set up and can be mess free!. We have been using the little Brian paint sticks since last year and honestly, we absolutely love them!. 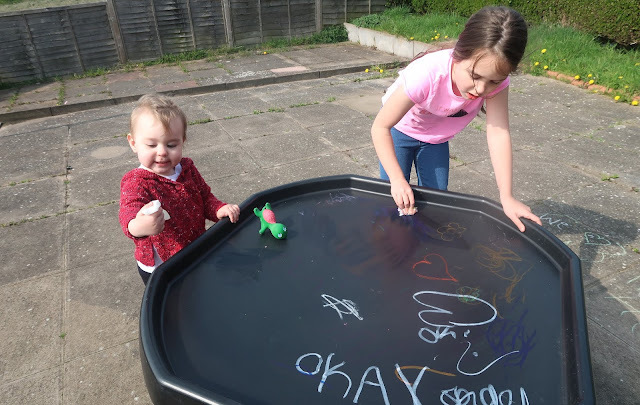 They also encourage independent play, which i find with toddlers , they are very independent little humans aren’t they and can sometimes get frustrated with things if they can’t do them by themselves. The little brain paint sticks are great for letting them play without any help needed. Of course I am there watching - and sipping on that nice cup of tea too! 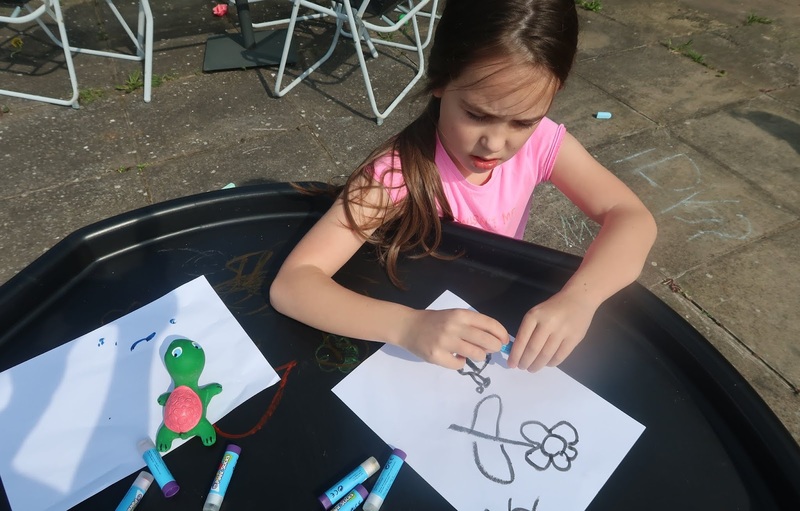 The wind wasn’t on our side today, which was funny as the girls’ pictures kept blowing over next doors garden , but what is so great about the tuff tray is you can use it as a canvas , so the girls got right into drawing their favourite animals and flowers and stamping . 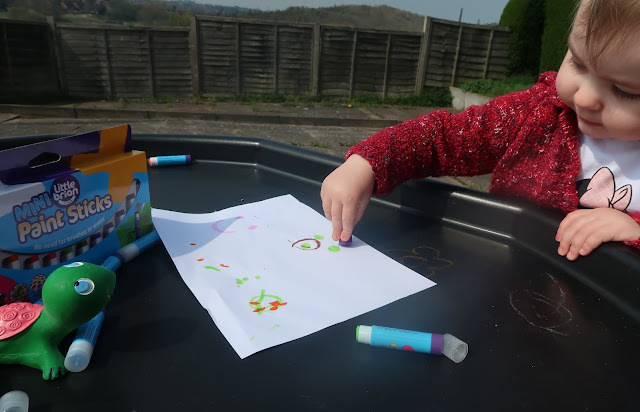 Nila is really into dinosaur so she used the paint stick as a stomping dinosaur and made footprints whilst shouting ‘stomp stomp stomp’. 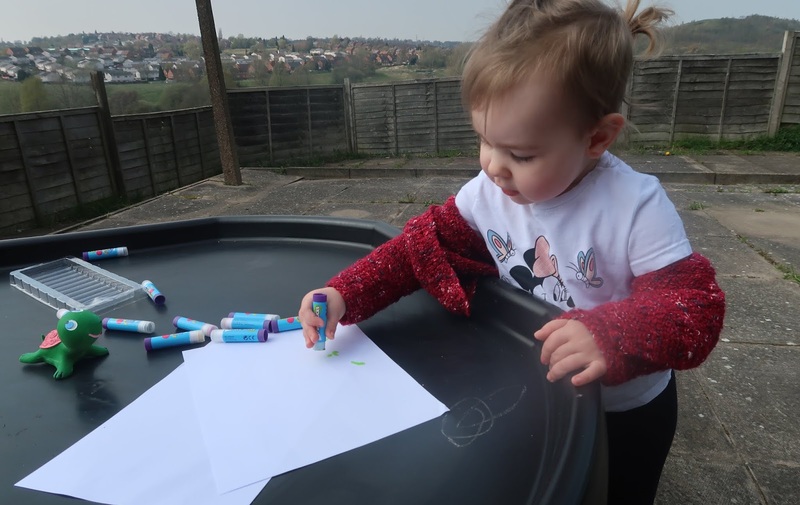 Alessia likes to add a little drop of water to them to make rainbow mosaics , she’s a bit older so loves exploring with the paints and she’s really good with her art work . 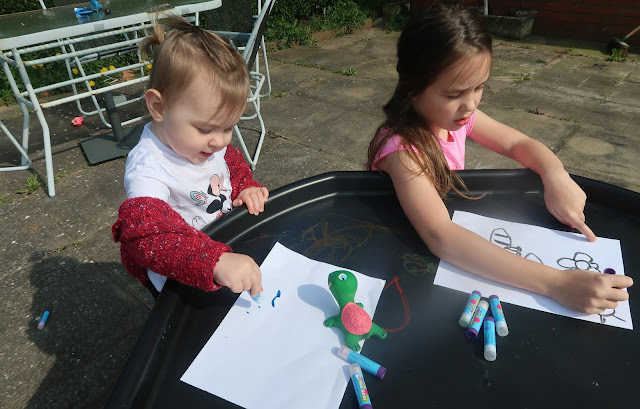 I love watching the girls play together and crafting is definitely one of their favourite things to do , as well as messy play!.